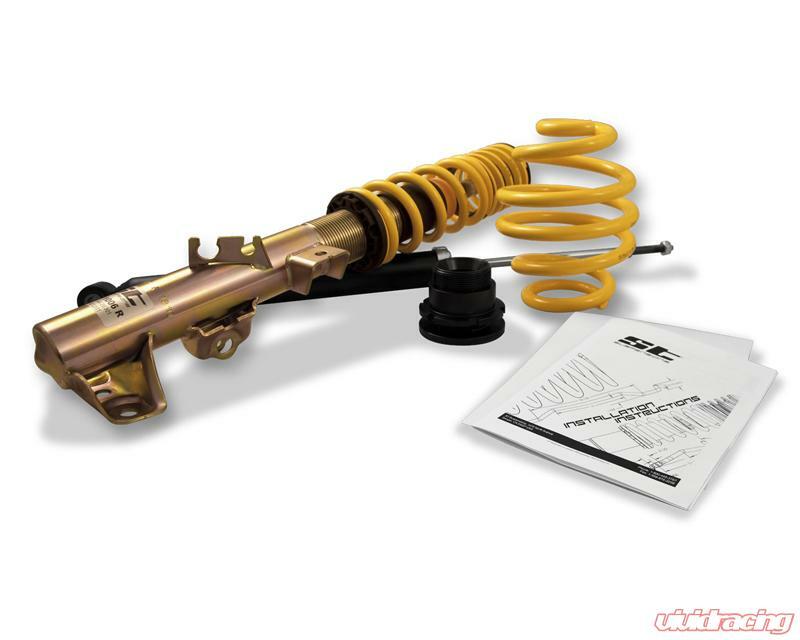 The ST Suspensions coilover enables the owner to lower their vehicle on the front axle an on the rear axle and retains enough travel to handle maximum load and dynamic loads during driving. 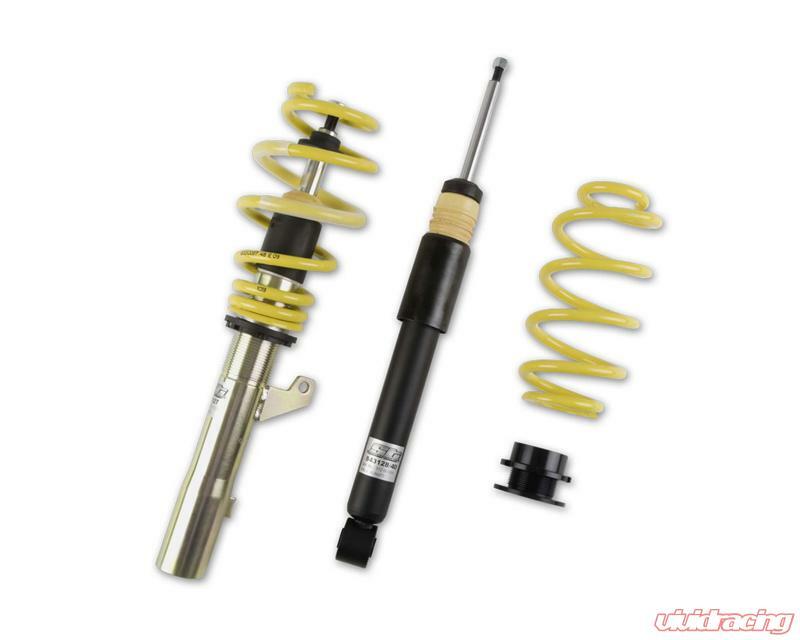 ST Suspensions coilover with its preset dampening rates permits customized lowering of the suspension and creates an optimized balance of sportiness, comfort and safety. Important characteristics such as safety, quality and performance are all taken into consideration with each ST Suspensions coilover design. Each vehicle application is specifically designed and engineered for a proper range of motion, min/max weight loads and min/max lowering. All these requirements are met while retaining its performance handling characteristics. Each ST Suspensions coilover is constructed of zinc plated threaded strut housings and utilize a compression bumpstop with integrated dust boot for additional ride comfort and long term durability. Images are used for marketing only and actual product may vary. 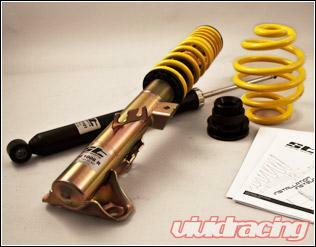 With the influx of worldwide technology, Suspension Techniques boasts one of the largest application ranges and largest distribution chains of any suspension manufacturer in North America. From their 115,000 sq/ft facility located in sunny Sanger, CA their 30 staff members are here to serve you. When it comes to automotive suspension applications, if ST doesnt have it, you can be sure that one of the KW automotive brands worldwide has got you covered.